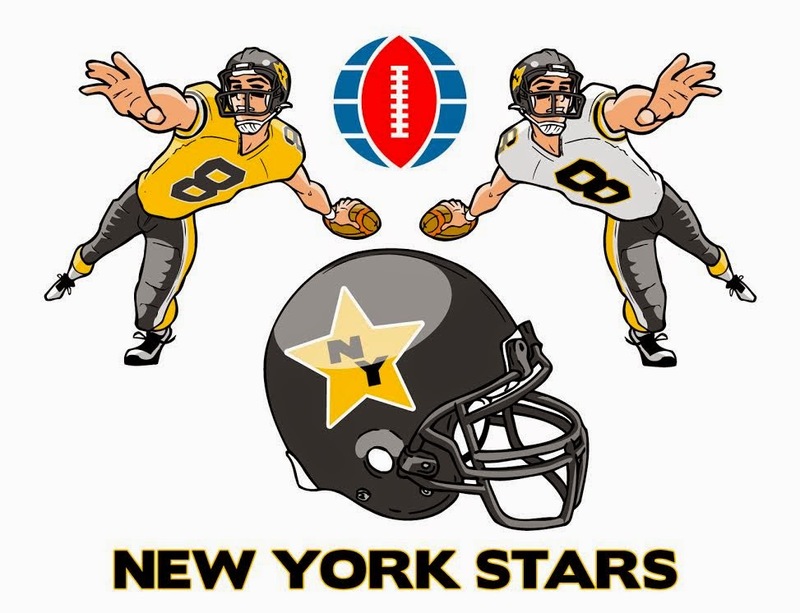 These are the designs submitted for the New York Stars franchise. Logo- modern multi star logo on black helmet. 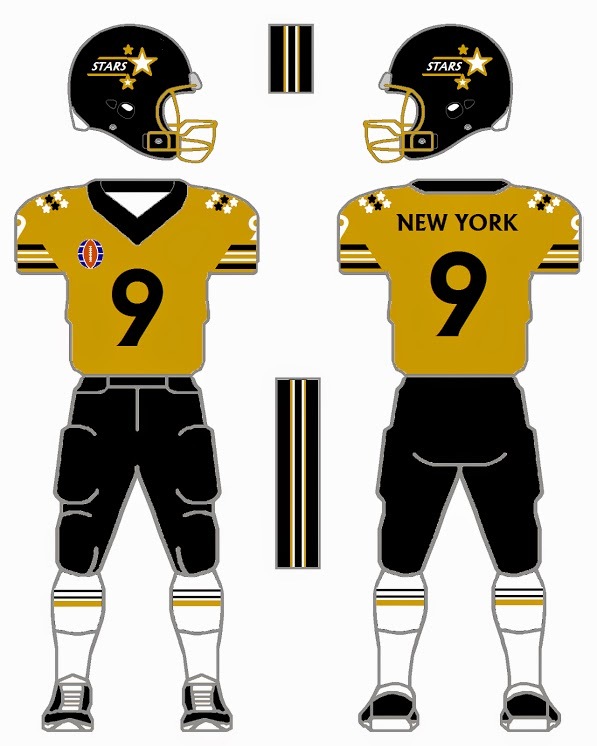 Home gold jersey. 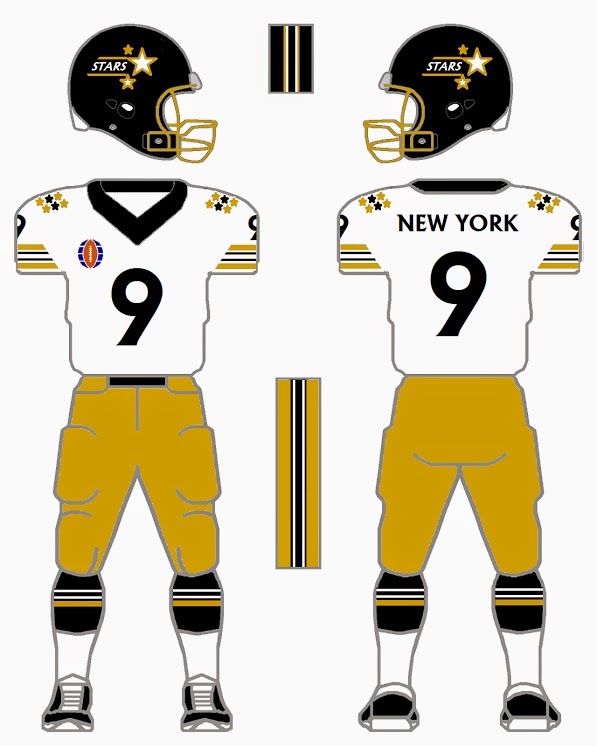 Wanted to make the major color gold since the Stars did wear a gold jersey in 1974. Unique star decoration to shoulders. Road white with gold pants.